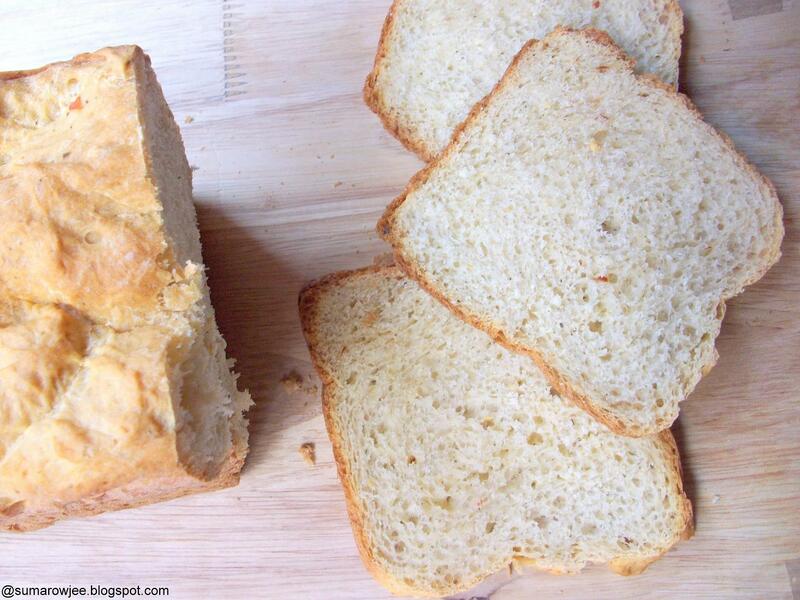 Cakes & More: A Simple Bread - Saying 'Hello' To My Bread Machine! The bread looks fabulous Suma.Where did you buy the machine?? Wowie :) Hearty congratulations to you. Nice and awesome machine it is. Where did you buy this from, IBCA ? Congrats on your new gadget! !..Its too pretty.. I have been following your blog from quite some time now & have made quite a lot of cakes so far. Need a suggestion from you dear: I have convection oven, am not so happy with the cake it bakes. And end up baking cake in a cooker. Now planning to buy an OTG. Want to know if OTG is better than convection ovens in baking & grilling? ?..If yes which OTG is good? ?..Planning to buy Prestige 19ltrs, do you have any idea about this?. 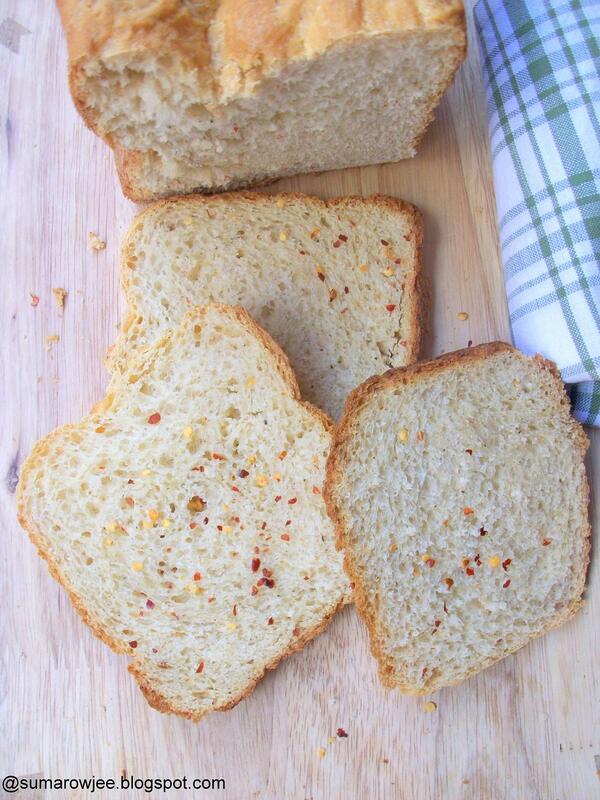 Can we make these kind of breads in an OTG? ?..Will look forward for your reply. Thanks a ton for those yummy receipes. God bless! Ooohooo... that is nice! Congratulations on ur Bread machine! Now i'm sure there will be frequent bread-posts here! Thats really wonderful to have a breas machine na, bread came out awesome. @Tina and Sharmilee - Thanks! @Madhuli, Divya - Got it from the US,you can look for it here too, you may not have a lot of choice and it could be a more expensive. @Arch - Oh yes, its fun! @Shetal - Thank you so much! No idea about Prestige, am sorry! Pls check my post on baking paraphernalia for info on OTGs. 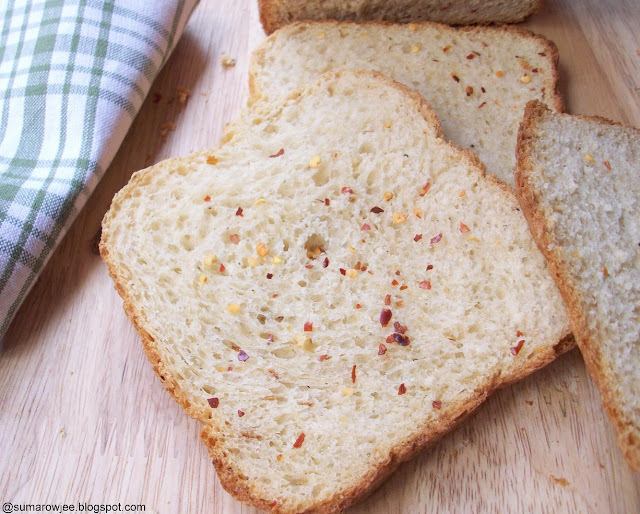 You can surely bake good breads in both microwave and OTG. wow.. that is a super soft bread! mmmmm...congrats for the new gadget dear. 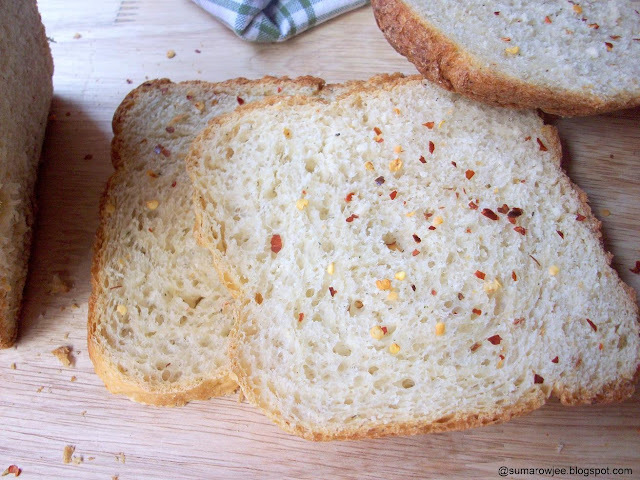 This is super easy.... A perfectly done bread. Congratulations on the new machine!! Happy baking! I have been doing some experiments with my panasonic bread machine and from what I had read wheat gluten is added mostly to whole wheat flour - 1 tbsp for every cup... The all purpose flour already has the required gluten...and the bread does taste pretty good too without added gluten. Also I find that the bread smells very yeasty. I adds 1 tsp for a medium loaf.. don't know how I can reduce that smell .. This is my first post in your blog though I'm a frequent visitor of your pretty blog for quite sometime. I have tried a few cakes and breads from your blog with great success. Currently I am visiting Canada for few months and wondering if I could buy a bread machine like yours :) Can you please give me some more information (expert's comments) on it ... specially how you manage to operate it in Indian power supplies (220V)? Hi Ipsita! Thanks so much for the encouraging words! I guess you could get one from Canada. I had to get a converter to use the machine. I am still learning my way around the bread machine, so am afraid I am not the right person for this :(. Good luck and be in touch! Hi Shruthi! Congrats on getting the bread machine! My dough cycle sets for 1.50 mins. I have found that using water at room temperature and using about 1.5 teaspoons instant yeast for 3 - 3 1/2 cups of flour works better in my machine. Experiment with this..You are right about allowing the dough cycle to complete, competing the final rise in the bread pan and then baking it in the oven. Hope this helps! hello mam, i have recieved a Professional Bread Maker as a gift . 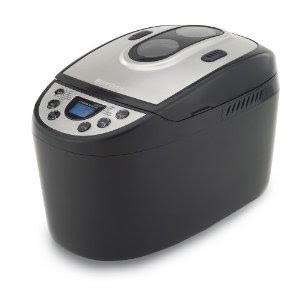 i want to bake bread in this one but i am confused in book they have mentioned that basic bread and dough recpies are developed using active dry yeast but in the recpies they have used bread machine yeast.How can i use dry active yeast in bread machine.please guide. @Meenakshi - Congrats!! You can certainly use active dried yeast if you are not baking it on delay start mode as your water needs to be warm to get the yeast kick started. If baking the bread immediately, allow the yeast to proof and then carry on. Check my post on yeast for more info. And if you can get some good instant yeast, nothing like it!! Good luck! i have always wanted to buy a bread machine and saw the first post in India (for me :-))for its use in this blog. my question is-how do i decide upon the make of machine-say between kenwood, panasonic and hirise WB? also does weighing ingredients is better option than approx measure for BM? would love to have your inputs. @Aruna - Am glad! Am so sorry, I have no idea about Kenwood or Panasonic, may be you could check with people who have used these. Foodies in Bangalore or Home Bakers Guild on FB may give you an idea. But I would not recommend getting one from the US as my machine has conked and no way of getting it repaired..